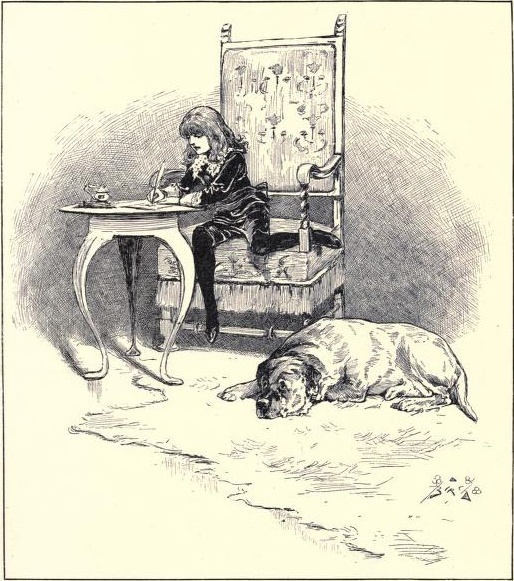 Buster Brown (left), his dog Tige and Mary Jane. Tige is thought to be the first talking pet to appear in American comics, and like that of many of his successors, his speech goes unnoticed by adults. 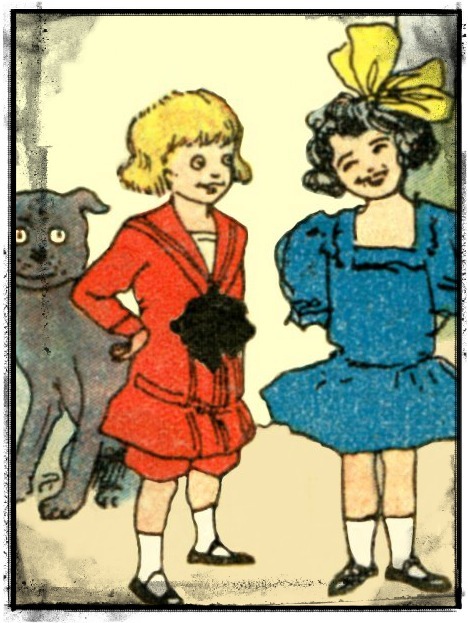 Buster Brown was created by Richard Felton Outcault in 1902. Two years later, Outcault traveled to the St. Louis World’s Fair in 1904, and canvassed up to 200 companies to use the Buster Brown character to advertise their products in William Randolph Hearst‘s New York Journal Sunday comic strips. 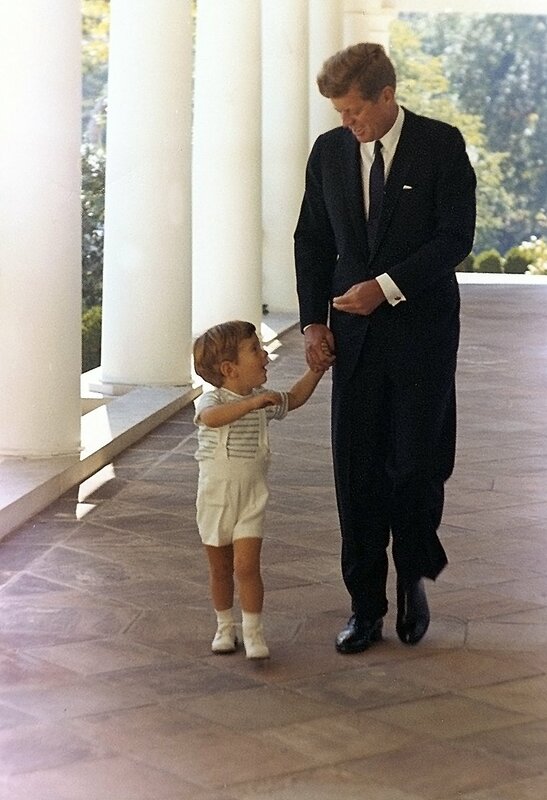 So began the product placement for Brown Shoe Company. 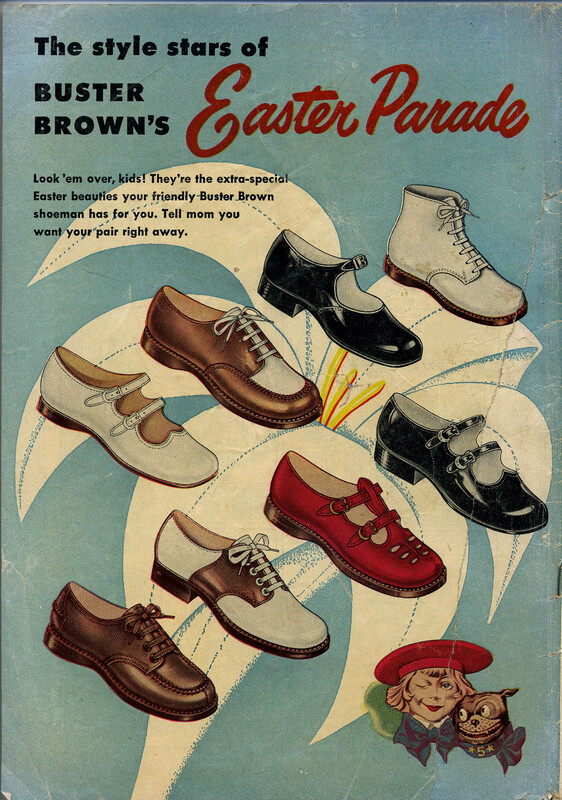 Brown Shoes vintage advertisement featuring some Mary Jane models with one or more straps across the instep. 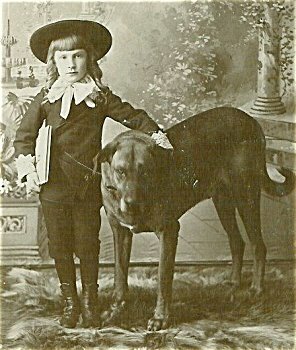 Buster Brown (named directly or indirectly after Buster Keaton, then a child actor in vaudeville) is a mischievous, rich, city-dwelling boy, who dressed in the style of Little Lord Fauntleroy. He is disturbingly pretty, but his actions belie his looks. He is a practical joker who might dress in a girl’s outfit and have her wear his clothes, break a window with his slingshot, or play a prank on a neighbor. The trick or transgression is discovered and he is punished, usually by being spanked by his mother, but it is unclear if he ever repents. 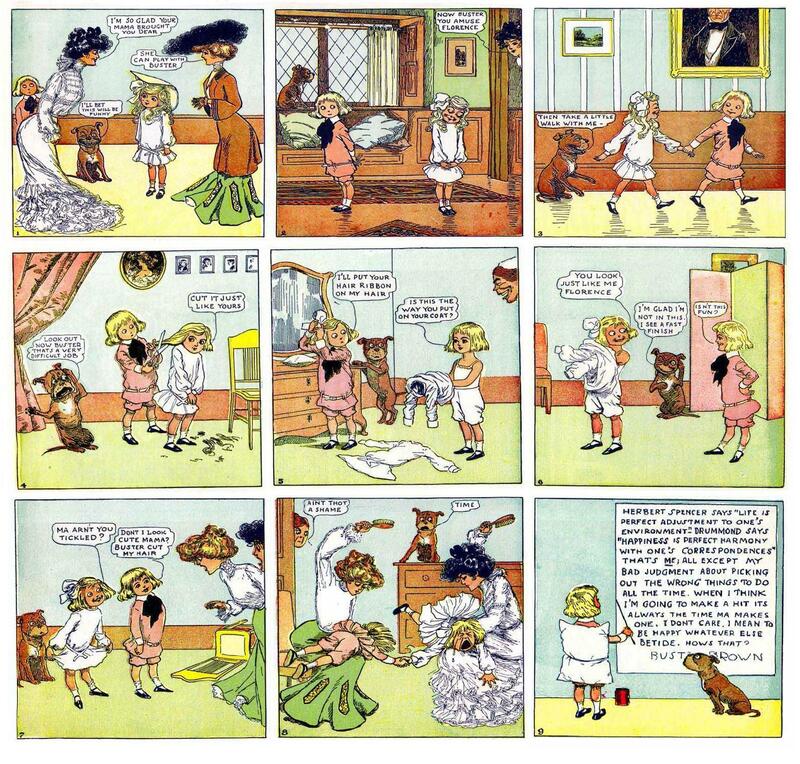 Many strips end with Buster delivering a self-justifying moral which has little or nothing to do with his crime. This mischievous young boy was loosely based on a boy near Outcault’s home in Flushing, New York. His physical appearance, including the pageboy haircut, was utilized by Outcault and later adopted by Buster Brown. The actual boy’s name was Granville Hamilton Fisher, son of Charles and Anna Fisher of Flushing. 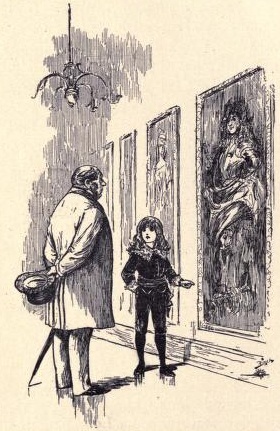 Little Lord Fauntleroy is the first children’s novel written by English playwright and author Frances Hodgson Burnett. 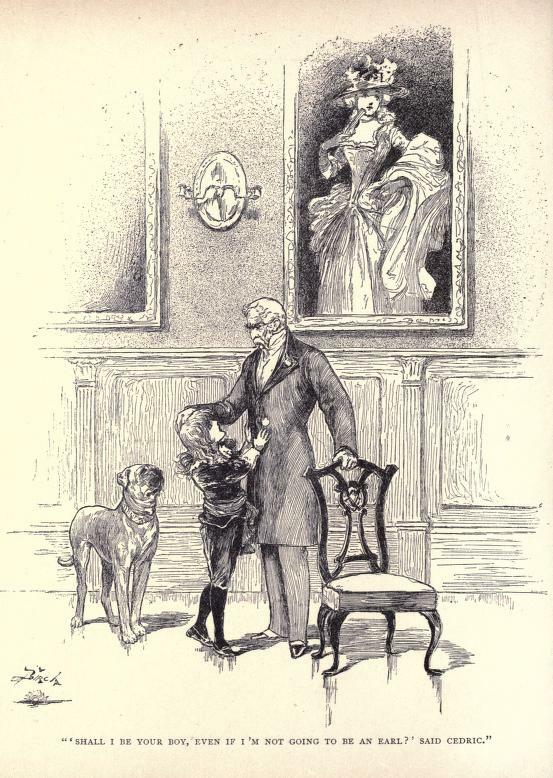 It was originally published as a serial in the St. Nicholas Magazine between November 1885 and October 1886, then as a book by Scribner’s in 1886. 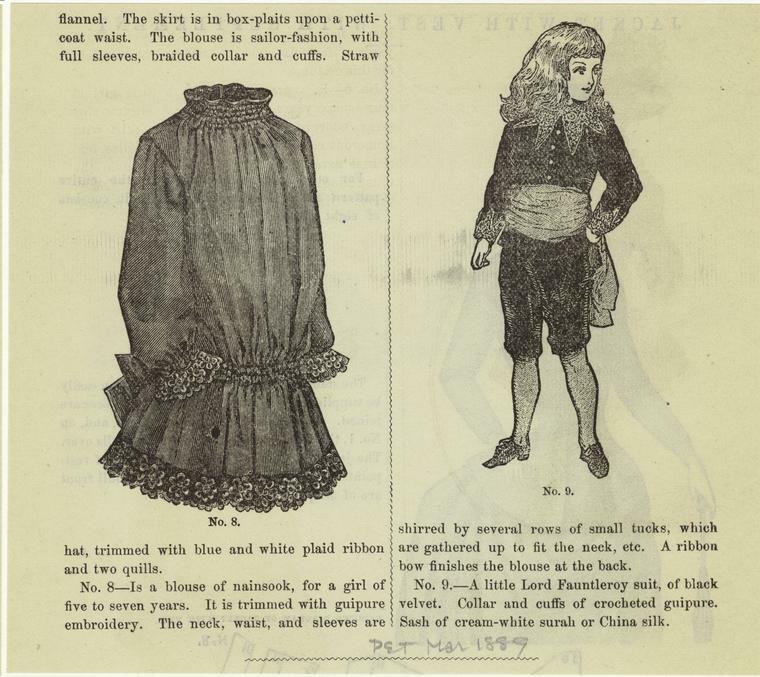 The accompanying illustrations by Reginald Birch set fashion trends and Little Lord Fauntleroy. Birch’s artistic talent first emerged in San Francisco, where he helped his father prepare wood-block theatrical posters. He soon attracted a patron in painter Toby Edward Rosenthal, who allowed him to use his studio and helped further his artistic education. From 1873 to 1881 Birch studied and worked in Europe, attending the Royal Academy in Munich and illustrating various publications in Vienna, Paris, and Rome. 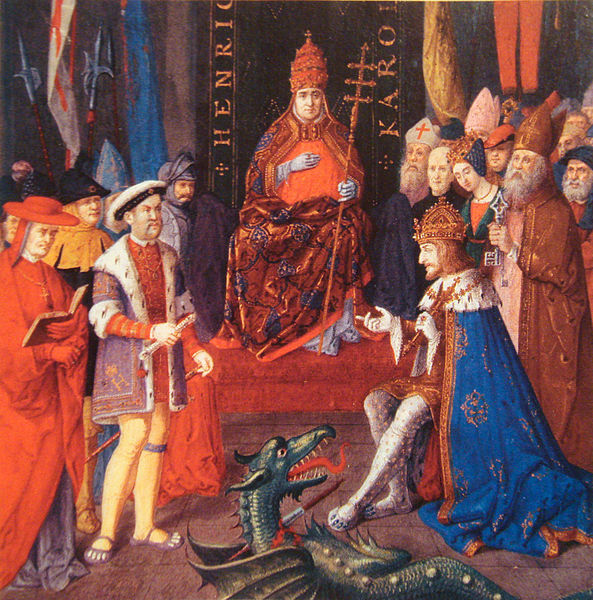 On his return to the United States he took up residence in New York City, where he became a magazine illustrator.